Here's what to expect when you purchase your own Boostcase. 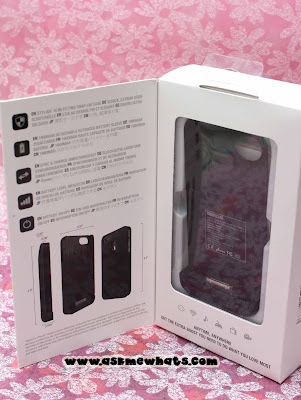 You get the snap-on case, the Boostcase battery pack and USB cable. 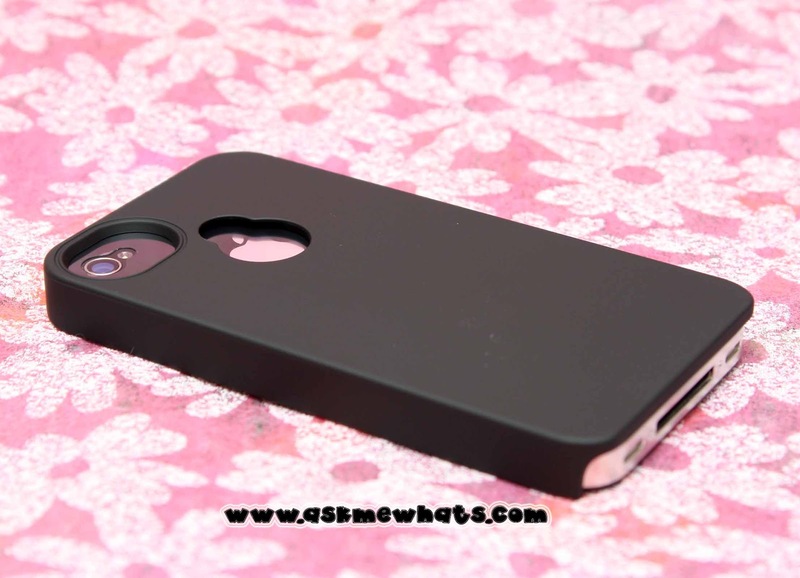 Half-ounce ultra slim snap-on protective case for iPhone 4 & 4S. 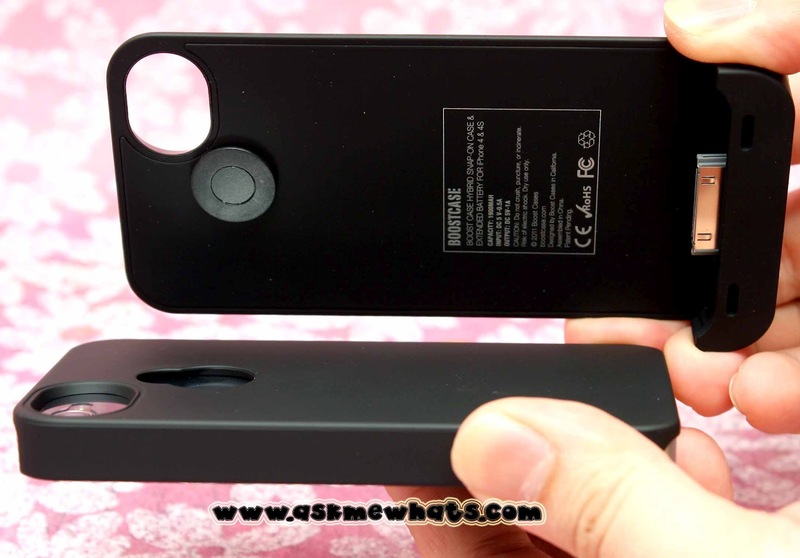 Small, pear-shaped opening on the back reveals the Apple logo and also serves as a keyhole for attachment of the Boostcase Hybrid Detachable Extended Battery. Comes with different color combinations. The case is charged and can be used right off the box! Has a blue LED showing your charging is full or how much battery life is left. 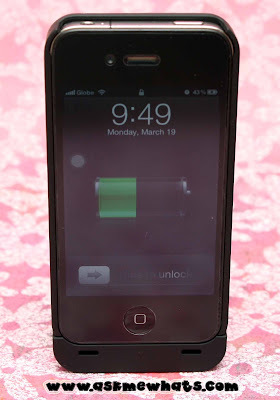 Can extend the life of my iPhone for a day! 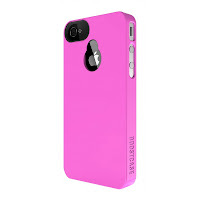 Can be used for iPhone 4 and iPhone 4s. P.S. I was playing 2NE1's MTV while charging! 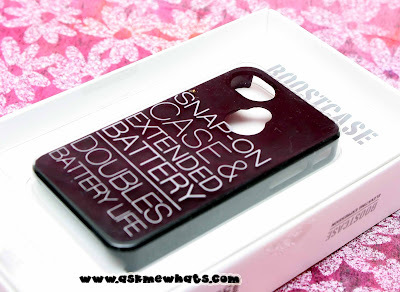 The Boostcase battery can be charged while attached on the phone or even on its own. The Boostcase battery has an "off" button, you can stop charging even when it is still attach to your phone unit. Speaker output is better with the Boostcase battery. The extra case adds "bulk" to your iPhone. It is a bit difficult to remove the "charger case" for the first few tries. 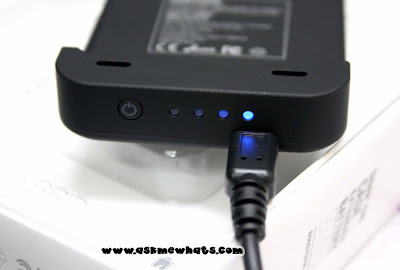 Fast charger that gives the extra battery boost anytime of the day! 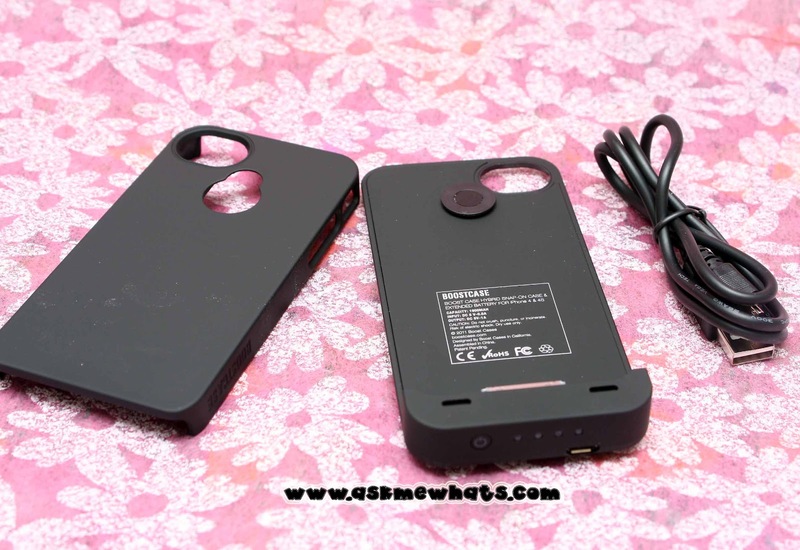 Try not to over charge, this works for all gadgets. Click the "on/off" button for 2 seconds to turn charging on or off. Since I do not like the "bulky phone" feel, I prefer to take with me the extended battery case storing it inside a pouch to protect the battery case. 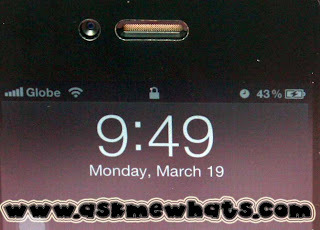 If you are the type who can get away without losing the battery life of your iPhone, you can keep the money and save up. If you are a busy person who can't live without your iPhone, and you are always on the go and can't find a charging outlet anytime of the day, YOU HAVE TO GET THIS! Yes! After reviewing the test unit, I have decided to purchase my very own Boostcase. (Help me decide if I'll go for pink and white or blue and white) I love both colors! Anyone who needs to extend the life of their iPhone anytime/anywhere. Priced at Php3,550.00 (approx $81.00) available at all Digital Hub and Beyond the Box stores. or are you happy taking an iPhone charger with you? Hi Nikki! 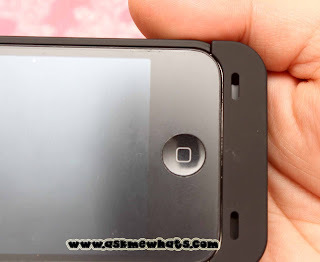 May pang-iPod (3rd and 4th gen) po bah nito? Really? I must be liking the blue because it was the same color used on my wedding day! hehehehe Thanks for the reco! I think they have the same one for iPAD not sure for iPod Touch though :) Will share once I see it!